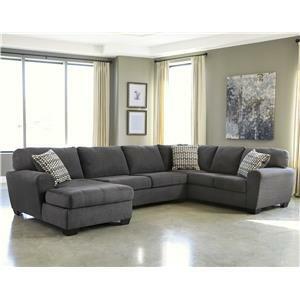 Comfortable and stylish, create a welcoming environment with room to stretch out in your living room with this three-piece sectional with a chaise in a versatile gray fabric. 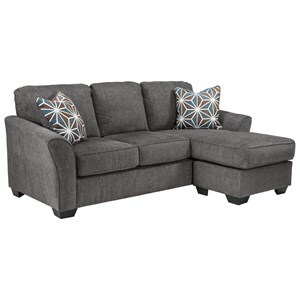 Rounded track arms, plush seat cushions with jumbo accent stitching, and geometric accent pillows pull together the sectional's design. 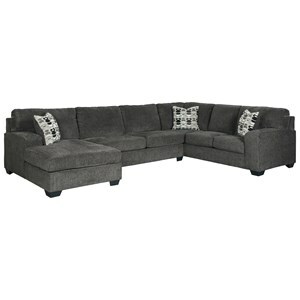 The Sorenton Contemporary 3-Piece Sectional with Right Chaise by Benchcraft at Casa Leaders Inc. in the Wilmington, Long Beach, Torrance, Lakewood, Los Angeles area. Product availability may vary. Contact us for the most current availability on this product. 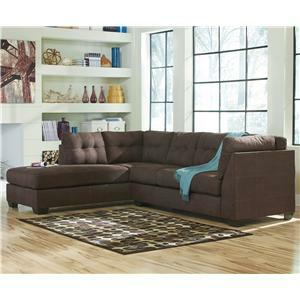 Refresh the look of your living and entertainment area with a contemporary sectional. 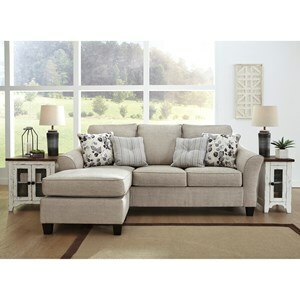 Create a configuration that best fits your space and seating needs. 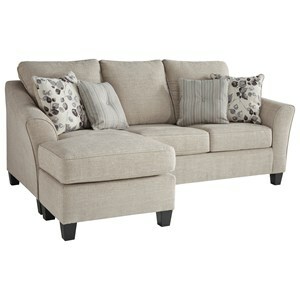 The sleek design shows off rounded track arms and cushion tops with jumbo accent stitching. 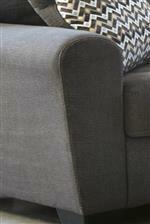 Additionally, the slate gray fabric is a beautiful neutral that is soft and easy to care for. 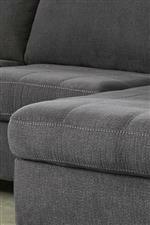 The Sorenton collection is a great option if you are looking for Contemporary furniture in the Wilmington, Long Beach, Torrance, Lakewood, Los Angeles area. Browse other items in the Sorenton collection from Casa Leaders Inc. in the Wilmington, Long Beach, Torrance, Lakewood, Los Angeles area.